Created, designed, and built by Nikolai Zykov in 1986. Height: 81 cm / 32 in. Materials: papier-mache, foam plastic, foam rubber, wood, metal wire, fabric, foil, glass furniture. 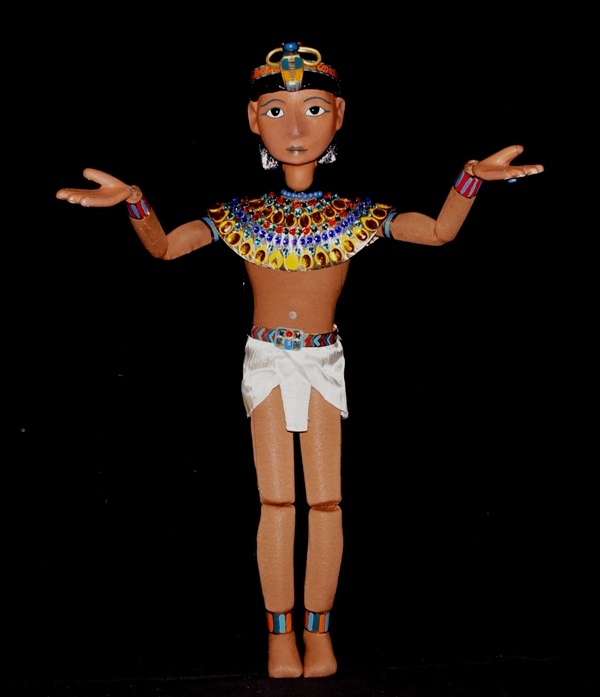 ANCIENT EGYPT VIGNETTE - marionette which has unique skeleton of fabric. This vignette represents the dance of Young Egyptian Pharaoh (14-th century BC). See PHOTO ALBUM of ANCIENT EGYPT VIGNETTE. Ancient Egypt vignette in film "Nikolai Zykov Theatre of marionettes", Moscow, Russia, 1993.